Well, you were much kinder than I was about this one! 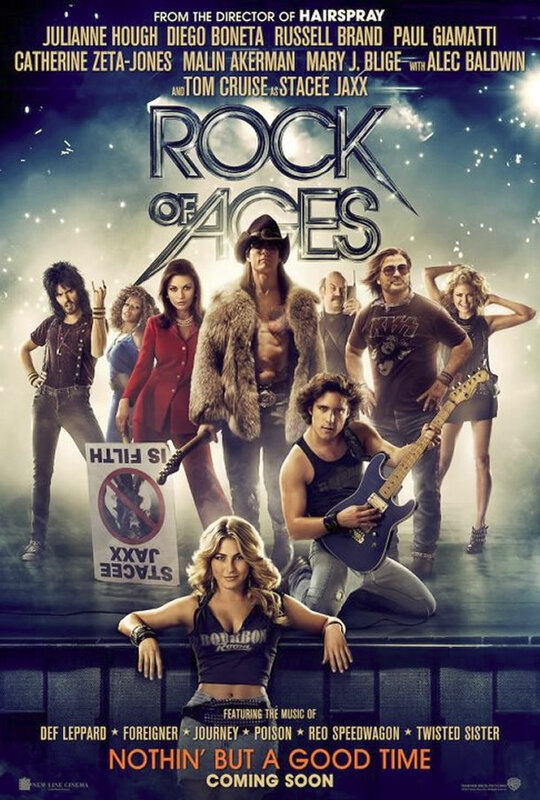 I only gave it 2 stars (http://scullylovepromo.com/2012/06/24/rock-of-ages-turns-80s-glam-metal-into-bubblegum-music/), but I do agree with you that the best thing about this movie is Tom Cruise’s performance. He did a great job and I’m not even a big fan of his. The rest of it was bubblegum plot, bubblegum music, and bubblegum production for 12-year-olds. Well, I’m 29, and I still felt the movie hit its mark for me, at least as far as intentions are concerned. I maintain that the film wasn’t made for the people who lived through the era themselves (I mean, I did, but I was too young for it to be relevant), but rather for people who are intrigued by the mystique of it that has developed over time. I do agree with the bubblegum assessment, though. There is little about the film that has any real substance, but the flavor was enough to satisfy me for the moment. If barely. I do think that a younger audience (anyone under 30) may actually find this movie entertaining as a “popcorn” movie that has very little substance, but you’re right, if the flavour satisfied you at that time, there’s nothing to argue with about that! You probably do, yeah. 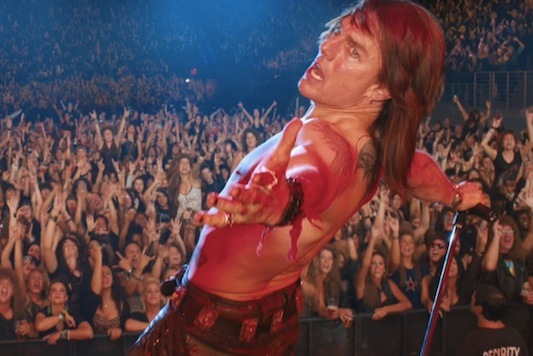 It has Tom Cruise singing “Wanted: Dead or Alive” by Bon Jovi. That should be reason enough for you. Well, I guess loving that kind of cheesy music helps a lot. I was around when this music came out and it really wasn’t my cup of tea. I was always more into punk/new wave, a rougher kind of music than this bubble-gum stuff. And if the music fails you, then I really think there isn’t much to get from this film. It’s a strong competitor for the title “worst film of the year” to me. Only “Alps” can match it. Yeah, I can’t see myself enjoying this one if I wasn’t into the music. I do kind of wonder what made you want to see it, though. Free prescreening ftw! Plus I do have a sweet spot for musicals. I think it’s a nice movie. but the singing could be better. I agree. Mary J. Blige has a great voice, and Julianne Hough has her moments, but they’re the only ones who ever really impress vocal-wise.